While Michael and I are in Boston for my Cindy's Kitchen recipe video shoot...and a few other adventures...I'm leaving you in very capable hands! My #SundaySupper friend Caroline from the blog Caroline's Cooking is sharing a trio of her favorite Thanksgiving dishes with you today. She's sharing recipes for a citrus-infused cranberry sauce, a sweet and savory stuffing, and a classic pumpkin pie. Now...say hello to Caroline! Being brought up in the UK, Thanksgiving wasn’t anything I ever experienced as a child. In fact, I didn’t have my first Thanksgiving meal until I was in my mid 20s -- when I was living in New York and a few of us out-of-towners (mainly from the UK, since we worked for a British company) went for a delicious meal to do our bit to join in the fun. We tried our best to throw ourselves into the spirit of things by eating too much and making our way home to rest as it was getting dark. But to be honest, the whole thing wasn’t that unfamiliar as the traditional Thanksgiving meal is very much like what we would have at Christmas in the UK. Being married to an American and now living in the US, these days we celebrate both holidays -- and I am looking forward to having my parents over for Thanksgiving this year for the first time. It will be a great excuse to enjoy some favorite recipes, some they will be familiar with and others a bit newer. 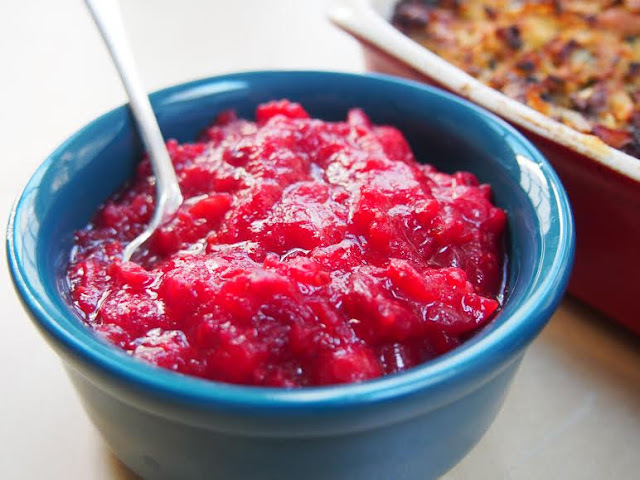 I’m sure most families have their own variation on cranberry sauce/relish/dressing (there are almost as many names for it) -- unless you buy it. I make a version based a bit on what my mum has always made. It is very low in sugar, using orange juice instead to sweeten. It’s incredibly easy and delicious, and you’ll never go back to re-made if you give it a go. My mum could never decide which stuffing she liked best, and so we always had about three or four to choose from with our Christmas meal. I admit to adopting a bit of the same approach for Thanksgiving, although this one was such a hit last year -- both in our house and with readers -- it will definitely be made again. 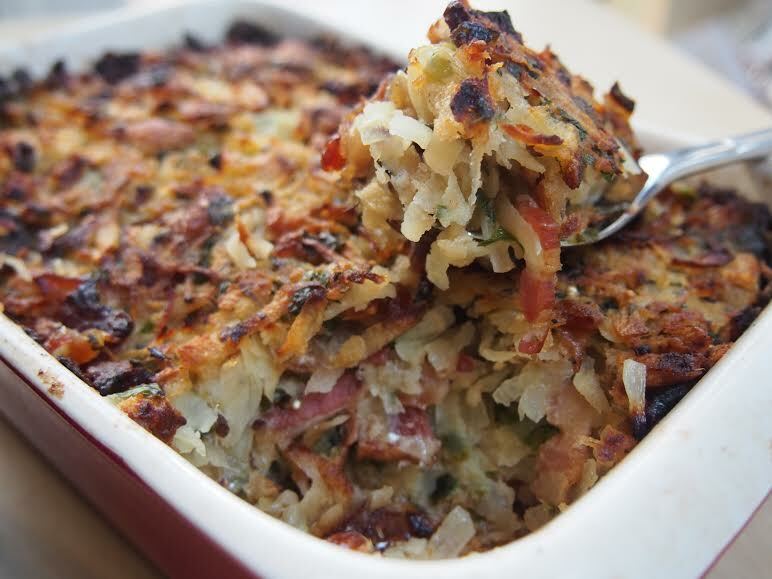 Rutabaga, bacon, and date stuffing is a delicious mix of sweet and savory, lovely and moist and so full of flavor. With bacon in it, you can hardly go wrong anyway, but it’s also flavored with maple syrup and some tasty herbs. It can also be largely made in advance and then just put in to cook with the turkey, It’s great eaten cold as leftovers too! 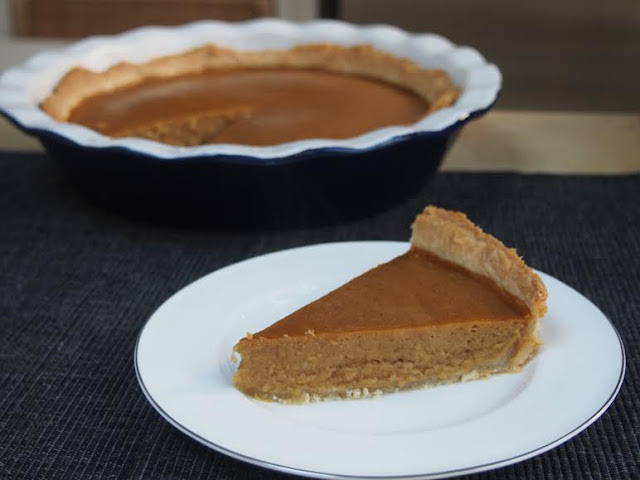 to make it from scratch, but the crust on this version is tasty and crisp, and the pumpkin filling is perfectly seasoned. This pie is the perfect end to a delicious meal! We have still to work out exactly what we’re going to be eating for Thanksgiving this year -- as I am sure may be the case for a lot of us. However, I hope these favorites of ours are ones you might try and enjoy as much as we do.